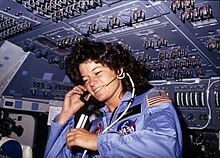 This entry was posted in History, Human rights, Patriotism, Politics, Things that truly matter and tagged american woman, astronaut, challenger, nasa, pioneer, sally, sally ride, sally_ride, space. Bookmark the permalink. Thanks for the like @clotildajamcracker (http://clotildajamcracker.wordpress.com/). She was amazing. It’s crazy how time flies. I was 15 when Sally first hit space.